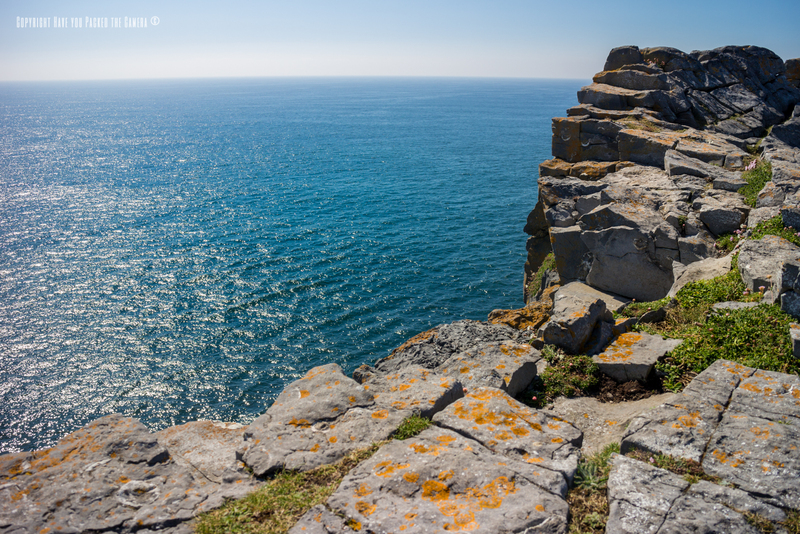 In April 2015 I took a road trip down the north west coast of the Republic of Ireland, from Westport to Galway; during this epic road trip I caught a ferry across to the largest of the Aran Islands, Inishmore and had a lovely guided tour around this quaint place. 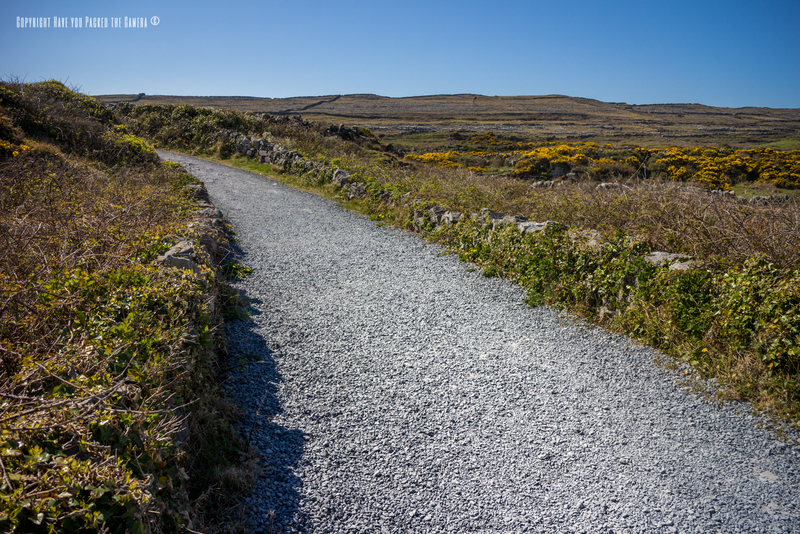 The landscape was beautiful and the weather was perfect so naturally I spent quite some time photographing Inishmore – There were some really interesting shots, especially of the cliffs next to the ancient prehistoric fort of Dún Aenghusa. 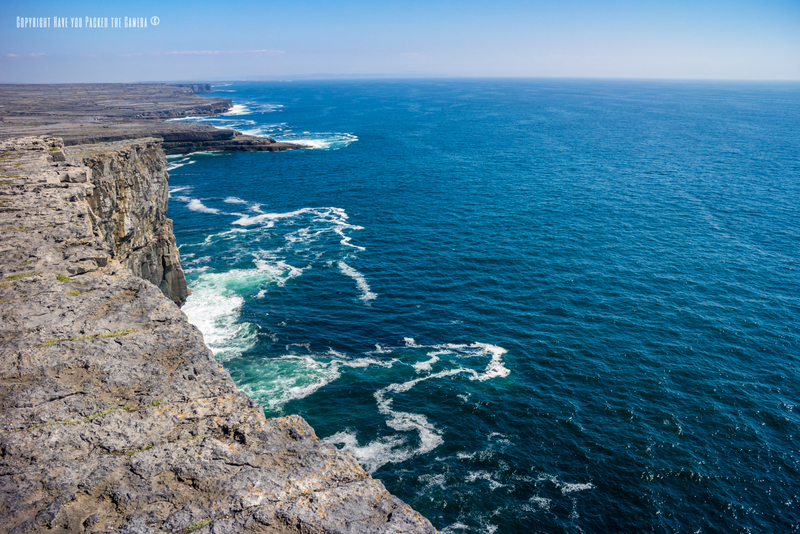 The Aran Islands are located on the West Coast of Ireland in Galway Bay and Inishmore is the largest with an approximate population of 720. 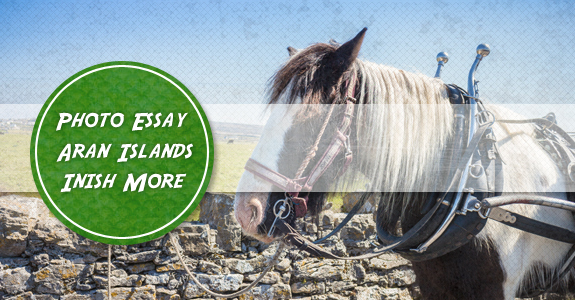 The Island boasts several pubs, a post office and even a bank, and also has several prehistoric forts that are still in really good condition. On arrival off the Ferry there were several tour guides plying their trade – The prices seemed reasonable so I hoped on one of the buses and had a really interesting tour of the Island – If you are visiting Inishmore yourself just as a one off day trip, I would definitely recommend one of these tours – You get to see pretty much all the Island and our tour guide was extremely knowledgeable. 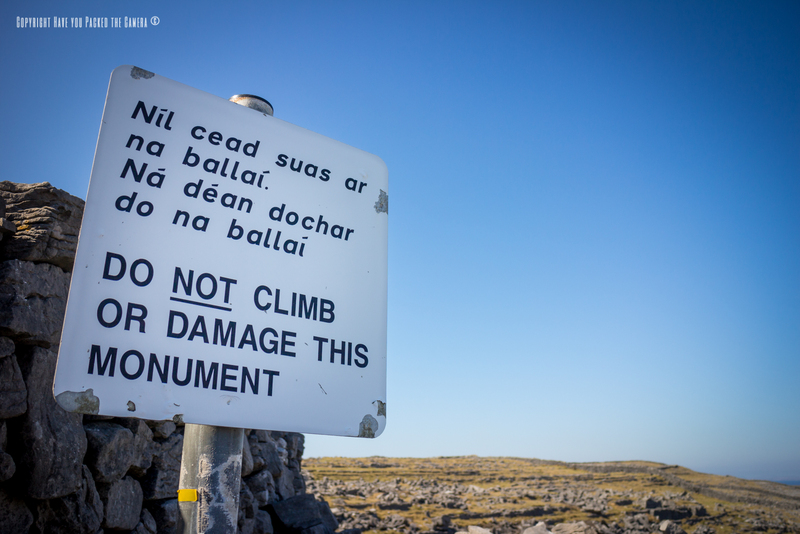 Inishmore provided some excellent photographic opportunities – The colourful landscape, the quaint old style buildings, the rugged fields with their grey stone walls and the dramatic cliffs with the waves crashing against them – I could have spent so much more time here, and I hope you enjoy this selection of photos! 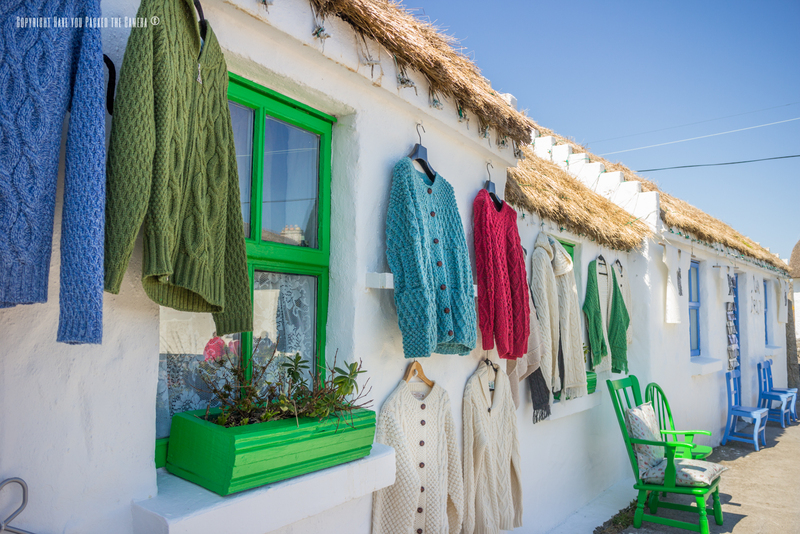 The Aran Islands are famed for their Aran wool and subsequent by products such as sweaters, hats and scarves. We stopped at a small collection of shops including a Wool shop and I loved how the different coloured items of clothing were displayed outside the building. 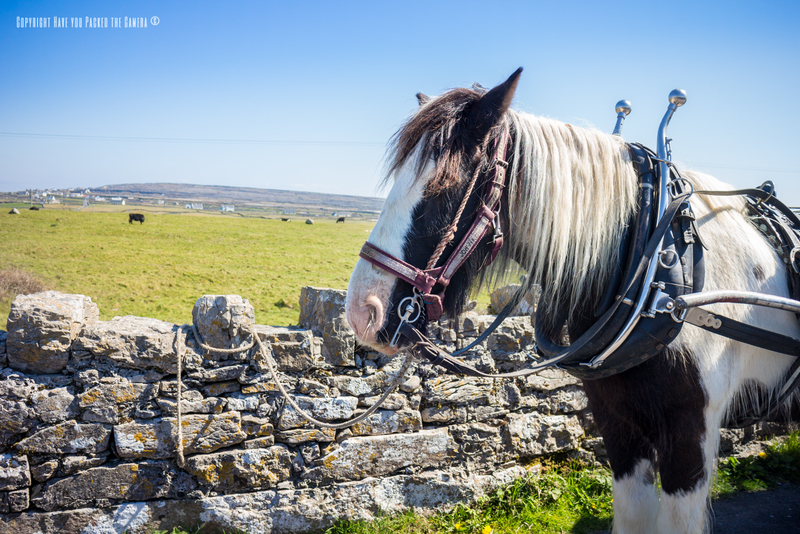 Throughout Inishmore you could get a hose and carriage ride, and I would imagine this would be a relaxing way to see the island. The horses all looked well cared for and in good health. 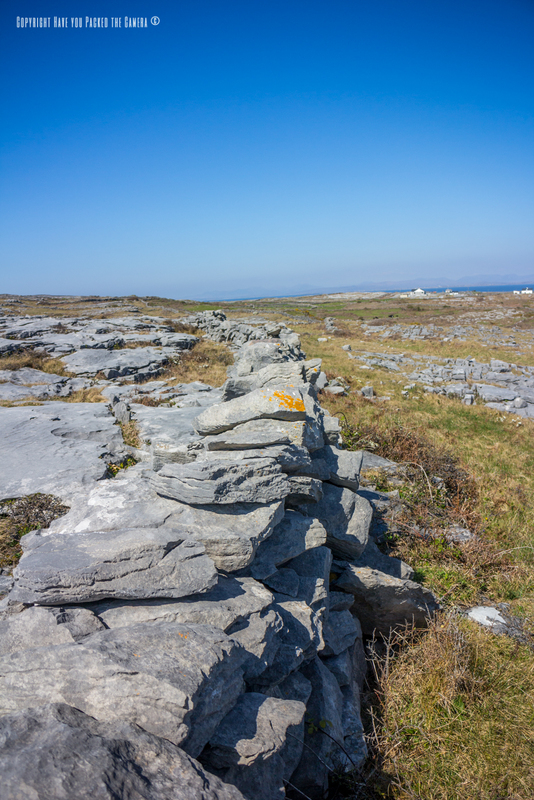 The interior landscape of Inishmore was barren, rugged and rocky and the fields and hills were strewn with the same light grey rock. This created a stunning backdrop and I liked how the fields were segregated by hand-made walls and winding pathways. Whenever I see walls like this, I always wonder who made them and how long they took to make? It must have taken so much more effort than modern construction practices. Inishmore has several prehistoric forts and this was one of them - Dún Aenghusa, the fort was built right on the Cliffside and high up on a hill - it would have made a brilliant vantage point. 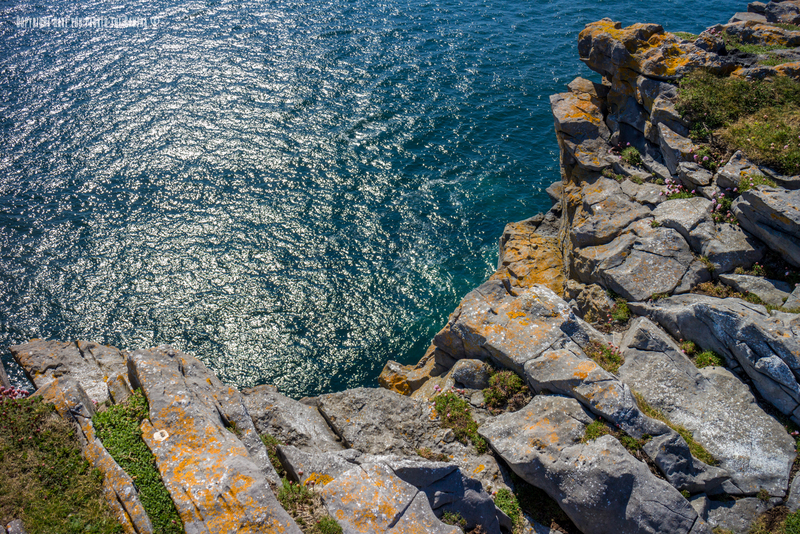 I was captivated by the cliff sides and how the prehistoric fort simply dropped away and gave in to the sea - There were no railings or barriers, you could literally jump off into the crashing waves hundreds of feet below. 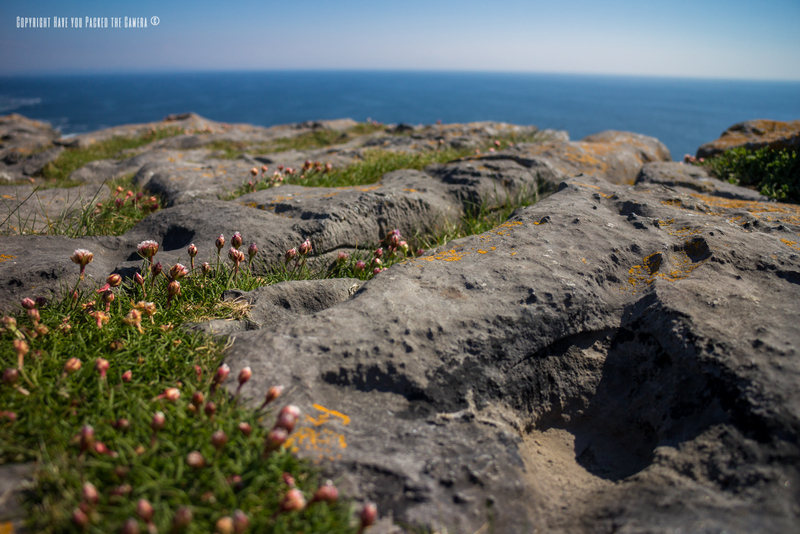 The rocks and stone on the edge of the fort and cliff were covered in some beautiful moss and fungi which gave my photos a burst of colour beside the greys and blues of the stone and sea. I enjoyed taking some close up shots of the stones with the various plants and flowers nestled in the cracks - It was fun to try out different apertures and focal lengths. The waves were extremely powerful and smashed against the rocks, slowly carving away the stone and creating new cliff faces and shapes. It was plain to see where the constant barrage of water was delving underneath the cliffs and creating many overhangs and caves. 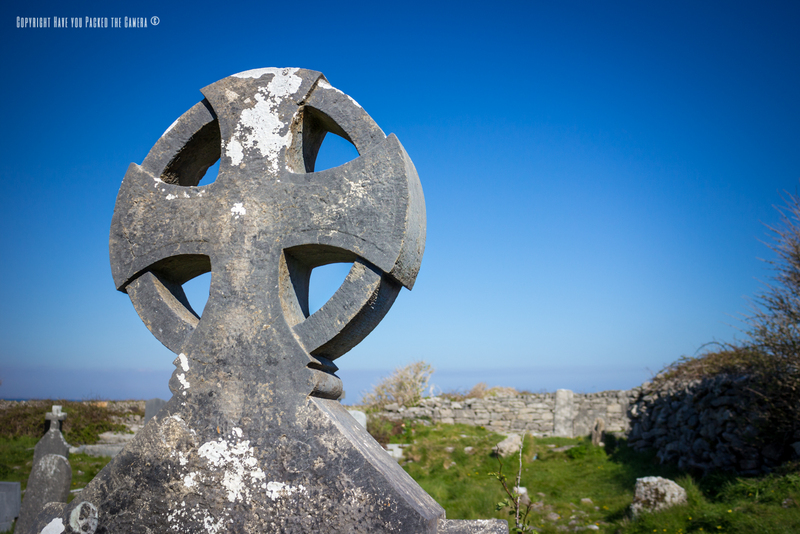 During our tour we visited several church ruins and old graveyards - This particular cross caught my eye and looked extremely old and aged by the elements.